This is one of two new styles we’ve added in our Lapidary section – store inclusion pending. 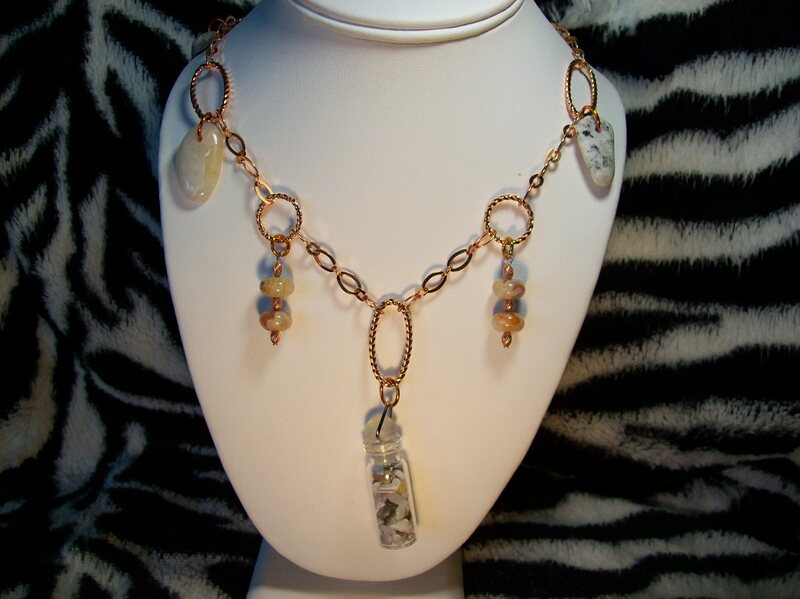 This is a glass bottle filled with chips of polished stone, accented with more polished beach rocks and stone beads, along a length of copper chain. Look for this style and more coming soon to our store, and on display at our Summer Art shows this year.